Managing pandemic stress became a reality when in April 2009, The World Health Organization, declared a new strain of influenza named H1N1 virus. In early 2009, H1N1 a new strain of influenza became a news story as reports began to emerge from Mexico that people were falling ill, and in some cases, dying. Since that time, this new virus has been declared a pandemic. No doubt, many may have felt frighten by this new development, but keep in mind that managing pandemic dress is possible once you have all the facts. What Is the Diathesis Stress Model? According to the US Federal Government, a pandemic is a global disease outbreak. 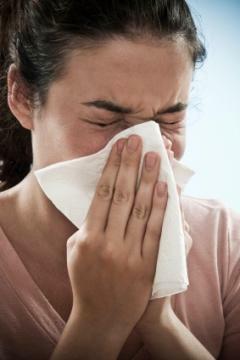 It occurs when a new strain of influenza emerges in which most of the human population has little or no immunity to. Due to this weakened immunity, the virus has the potential to spread easily from person to person and globally. An overwhelmed health care system: The Centers for Disease Control (CDC) and the office of US Health and Human Services, worry that the US healthcare system may become overwhelmed as the virus spreads. Shortage of medical supplies: As in any flu season, many will want to stock up on various medical supplies, which could lead to shortages. Economic and social disruptions: As more and more people become ill, it's possible that schools and other public institutions may be forced to close. This can lead to work disruptions as parents stay home to care for their children. Stay informed: Information is the antidote to fear. Knowledge often leads to feeling empowered, so take the helm when it comes to getting information. Online sites like the World Health Organization (the body in charge of watching all pandemics) regularly feature updates, and need-to-know information on their site. Take reasonable precautions: Most pandemics, like the Bubonic plague, could have been managed more effectively with a modicum of common sense. Don't waste history's lesson. Practicing good hygiene, and modeling that behavior for the younger generation can help to prevent illness. Stay objective: Even if you hear alarming news, take the pulse of your own community. If things seem steady, and much like they always were, then consider that. It's one thing to understand the severity of any situation, but you need to evaluate and weigh that information in terms of your own personal situation. Finally, when it all becomes too much, take a breather from the media. Alternatively, if you just don't feel "right" without having information at your fingertips, then remove the news source that seems to be giving you the most stress. For example, some people loathe watching news on television because they dislike the seemingly alarmist tone that some journalists employ. If this sounds like you, switch to print media, where you can remain calm, while reading and staying informed. Keep a two-week supply of non-perishable foods and one gallon of water for each individual. These emergency kits, and their subsequent items, are recommended for all emergencies, including pandemics. Be aware that the novel H1N1 virus is serious, but not cause for a panic. Many different strains of flu have come and gone but due to their very nature, often mutate and change. However, managing pandemic stress is possible when you keep in mind that this, and most viruses, tends to be just a variant of different, more familiar strains. Additionally, as long as you prepare and have a plan, one that includes an emergency kit as well as contingencies for dealing with social and economic disruptions, things should be fine.